HCB has been re building clutch components for over 30 years. Although most people buy new nowadays, a reconditioning service is often required for difficult to find parts or parts that are no longer produced. We also do modifying. 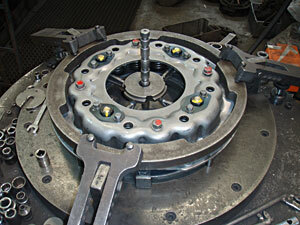 We can do all types of clutches here not just cars, including most Commercial & Industrial applications. HCB can machine ALL drums & discs for automotive, commercial and industrial use. Manufacturers suggest machining only when it is necessary. That is if the surface has become scored or uneven. 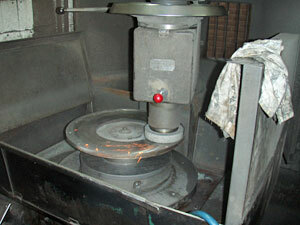 HCB will measure your drums and discs to be sure they are suitable to machine. Run down drums & discs can reduce the performance of your braking system. 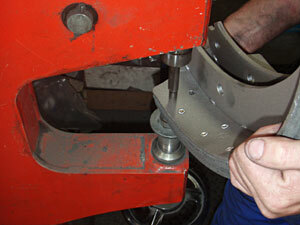 Automotive, Commercial & Industrial Brake bonding & riveting. Brake shoes, Clutch Plates, Industrial Bands and more. HCB highly recommends machining all flywheels that go with a new clutch. 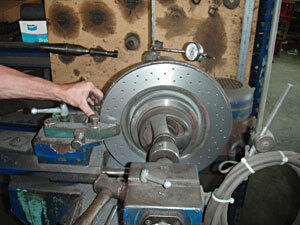 Not machining your flywheel may significantly reduce the life of the clutch. If a flywheel is cracked or damaged it cannot be resurfaced. We can machine ALL types of flywheels. HCB can make brake pipes according to customers needs.